Photo: Paul Wellman Pure Order Brewing Company’s David and John Burge are throwing a bash to celebrate five years of suds this Saturday. Pure Order Brewing Company is celebrating its five-year anniversary at its homey Quarantina Street location on Saturday, April 13, with a day of live music, food, games, and community-oriented fun. 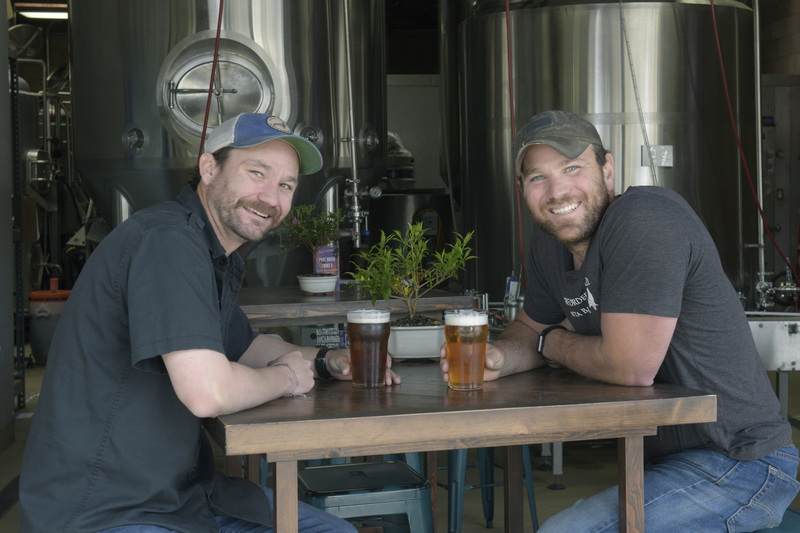 The brewery is owned and operated by the Santa Barbara–based Burge family, who, from the beginning, have set their sights on embodying the spirit of the “American Riviera.” This ethos extends from their support of charities — including the creation of Montecito Red to honor and fundraiser for Thomas Fire and 1/9 Debris Flow victims — to their welcoming atmosphere, where smiling faces provide a relaxing vibe, much like you’ve walked over for a beer in your friend’s backyard, complete with bocce. The idea for Pure Order first percolated in the mind of James Burge, who developed a passion for home brewing and brought his cousin David on board to run sales and marketing. The two built the 2,000-square-foot warehouse largely themselves and created a comfortable patio with plenty of room for food trucks, games, and live music space, all set against the idyllic mountain backdrop. Pure Order’s name was derived from the German Reinheitsgebot (Purity Order) of 1516, which stated that only three ingredients — malts, hops, and water — can be used in brewing beer. (Yeast was added to modern versions of the purity order after the discovery of its role in fermentation.) The brewing team keeps this model in mind with each creation. The fifth-anniversary party for Pure Order Brewing Company (410 N. Quarantina St.; pureorderbrewing.com) is Saturday, April 13, noon-11 p.m., with yoga at 12:15 p.m., food from Buena Onda, comedy and emceeing by Terrance Washington, and live music by Afishinsea (5-7pm) and The Olés (8pm).